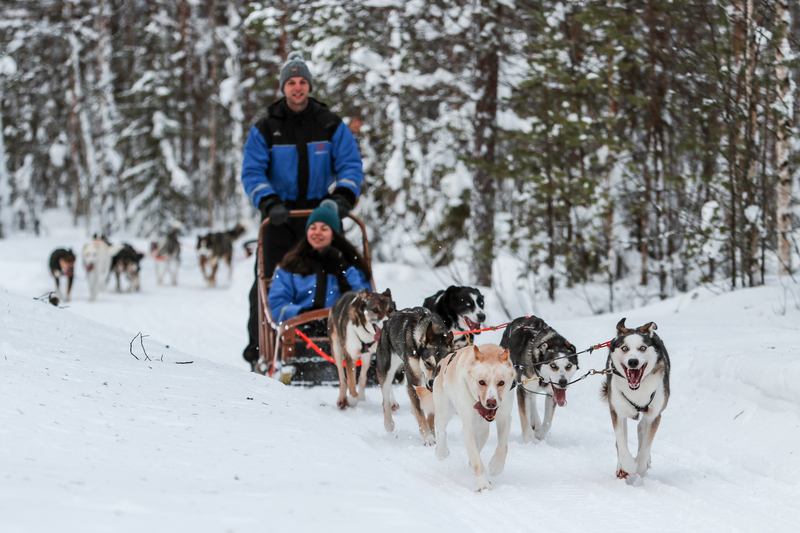 Feel your heart race together with the speeding dogs in pristine winter forest of the Arctic Circle! 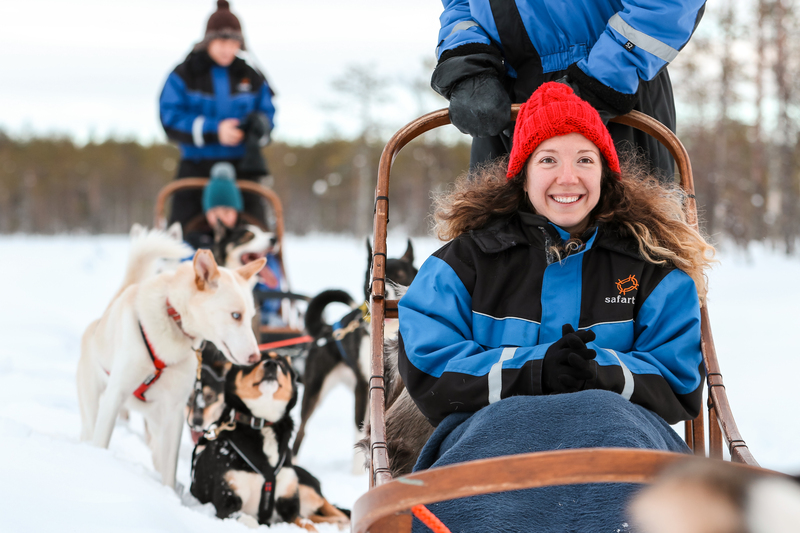 Feel your heart race together with the speeding dogs in pristine winter forest of the Arctic Circle! 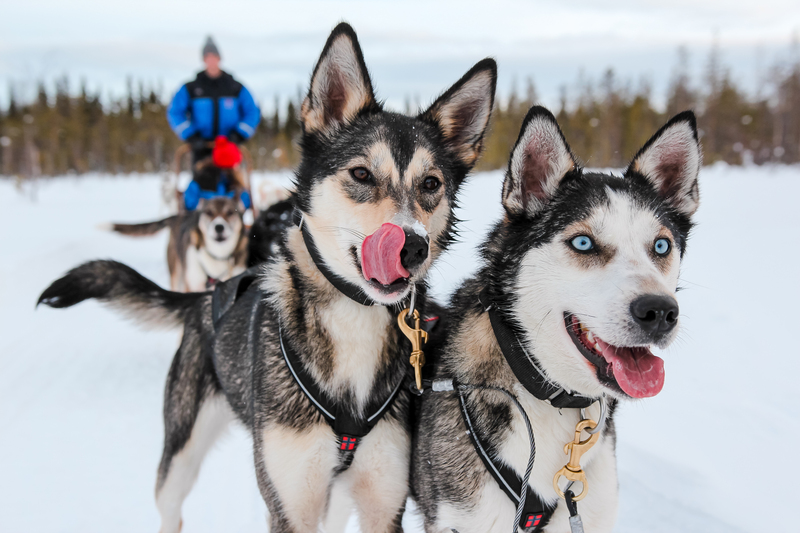 On half day husky safari you get to know your team of the arctic dogs and experience some real mushing, dog team handling. After the instruction on driving, we head to the wild with 2 persons sharing one sled. The distance of safari is between 12 -17 km with a midway break and chance to change the drivers. 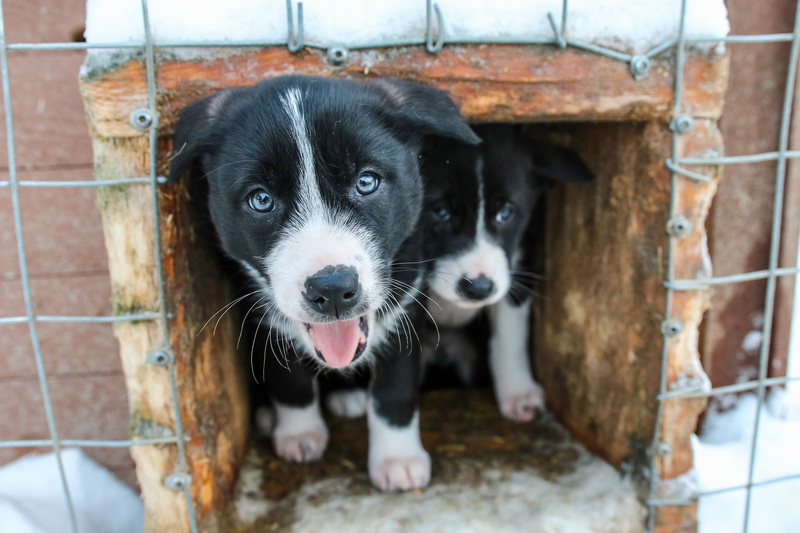 After safari we visit the kennel and you get to know more about life at the husky farm together with a hot drink and a sweet bite. Winter clothing, transfers, husky farm visit, 1,5-2 hours husky safari of 12-17 km, 2 persons per team, children in sleigh, hot drinks, guiding. Two persons per husky team, one adult as a driver and one adult as a passenger. Half way adults can change drivers. Children up to 12 years are always seated as passengers in the sleigh. Parents with small children, please consider if your child is able to sit in a sleigh for 2 hours in winter conditions. Kindly note, there are no shortcuts from the forest back to the farm.